Even if it’s not quite time for gifts yet, we have one for you! You asked and we listened! Today we are proud to announce the launch of Timesulin for the Novo Nordisk FlexTouch, the next generation in the Timesulin family. The FlexTouch pen is the latest disposable prefilled insulin pen from Novo Nordisk and offers users a simpler experience than the earlier FlexPen – no dose button extension and a very low injection force, irrespective of the amount of insulin injected, accordingly Novo Nordisk. Timesulin for the Novo Nordisk FlexTouch features our characteristic simple design and is as durable, user-friendly and easy to use as products in the original Timesulin range. Simply click your new Timesulin for Novo Nordisk FlexTouch onto your new insulin pen and never ask yourself ‘Did I take my shot or not’ again! Novo Nordisk has started rolling out the FlexTouch to replace the FlexPen in selected countries. Are you already using FlexTouch? 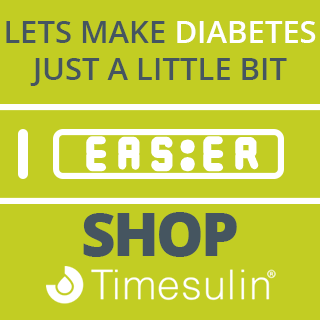 Let us know in the comments what you like about the pen and head over to the Timesulin shop to make your new insulin pen smarter (and your life simpler)!